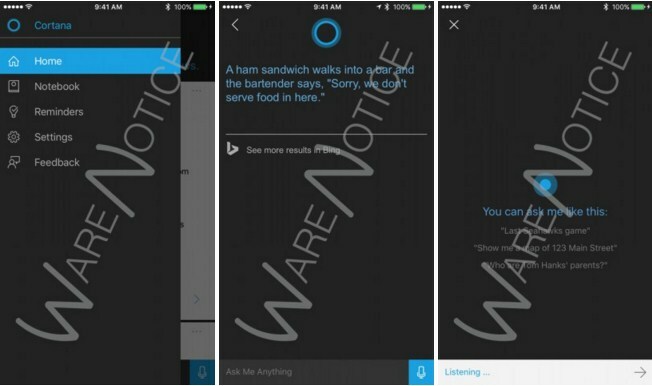 In early November, Microsoft announced the beginning of acceptance of applications for participation in the testing of iOS-version of the voice assistant Cortana. Then users can apply for the United States and China. Three weeks after the beginning of reception of applications first beta version of Cortana for iOS is now available to testers. It is noteworthy that this version of the software is distributed through the service Apple TestFlight, so try a novelty can not all attend. “Apple” a platform for testing allows to send invitations to only 2000. According to available data, Cortana for iOS with voice commands allow you to find information about movies, restaurants nearby, make the schedule for the day, create reminders and so on. Another interesting fact is that the virtual assistant will help to combine the two different platforms. For example, if iPhone owner has a home-based computer to Windows, it can create a reminder on your PC and then receive a notification on the iPhone.